WHITE PLAINS, NY – Pace University’s Elisabeth Haub School of Law today celebrated 30 years of work at the Pace Energy and Climate Center (PECC). For three decades, PECC has been at the leading edge of creating and implementing solutions to our energy and climate challenges on the local, state, regional, national, and international levels. PECC was founded by Pace Law Dean Emeritus Richard Ottinger. In recognition of his decades of service to the Center, numerous elected officials issued proclamations and letters of support commending him for his service, including Congressman Eliot L. Engel, New York State Senator Andrea Stewart Cousins, New York State Assembly Members Amy R. Paulin, Steven Otis, and Thomas J. Abinanti, Westchester County Executive George Latimer, Chairman of the Westchester County Board of Legislators Benjamin Boykin, Westchester County Board of Legislator Catherine Parker, and Mayor of the City of White Plains Thomas Roach. PECC is one of eight centers and institutes that are a part of the Pace Law campus. PECC is the leading Center working at the intersection of energy and the environment, engaging government decision makers and key stakeholders with robust research and analysis in law and policy. Over time, the Center has grown from its initial focus on energy regulatory law and policies to tackle transportation and fuels, as well as climate change mitigation and resilience. PECC directly engaged in complex regulatory proceedings in New York and several other states, and advocates successfully for policies to improve energy efficiency, advance renewable energy and distributed generation, account for environmental impacts in energy decisions, and reduce greenhouse gas emissions. PECC is a critical part of Pace Law’s environmental law program, which is consistently ranked among the top in the country by “US News &World Report.” The Elisabeth Haub School of Law at Pace University launched its environmental law program in 1978; it has long been ranked among the world’s leading university programs. Pace’s doctoral graduates teach environmental law at universities around the world. Pace’s J.D. alumni are prominent in environmental law firms, agencies and non-profit organizations across the U.S. and abroad. Pace University’s Elisabeth Haub School of Law (Pace Law) offers Juris Doctorate, Master of Laws, and Doctor of Juridical Science in Environmental Law degrees, as well as a series of joint degree programs. The school, housed on the University’s campus in White Plains, New York, opened its doors in 1976 and has over 8,500 alumni around the world. The school maintains a unique philosophy and approach to legal education that strikes an important balance between practice and theory. For more information visit http://law.pace.edu. 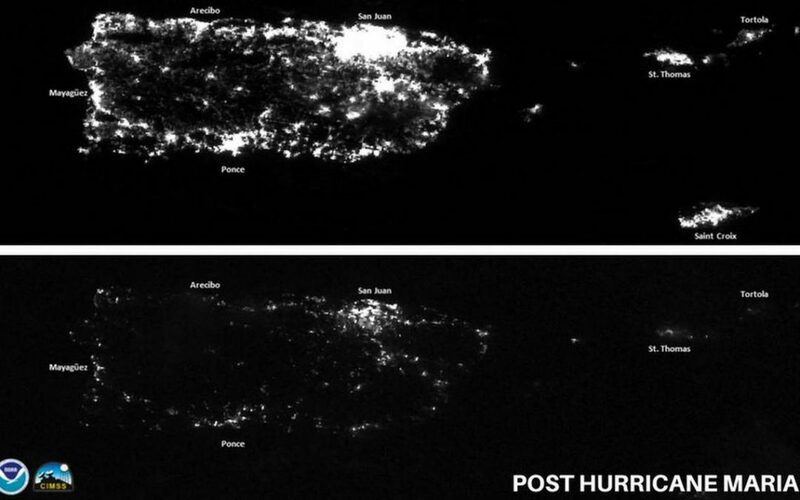 Pace completed a brief on Puerto Rico’s opportunity to rebuild its grid in a manner that makes the island more resilient. We find that PREPA can take action now to lay a strong foundation for distributed energy resources (DER) to integrate with the transmission & distribution system, by making the right kind of capital equipment investments as it is being rebuilt. The future grid should be designed to accommodate far greater penetration of DER and ought to have the functionality to utilize DER as dynamic assets, supporting the grid. If PREPA fails to take actions to accommodate DER and beneficially utilize their grid support capabilities, it could face grid defection, and forego opportunities to significantly improve grid performance, productivity and system resiliency. Pace strongly supports Puerto Rico’s integration of DER, renewable energy, and coordinated microgrids to utilize the natural resources of the island and manage an electrical grid that supplies the power needed. In partnership with IEEFA, we submitted comments to PREC on microgrids. Pace has also been heavily engaged in this work throughout the Northeast. We promote knowledge of high efficiency combined heat and power as a back bone to microgrids in our region as the US DOE TAP by evaluating site screening and successful case studies. This work dovetails with our solar coalition work where we advocate for streamlined policies that facilitate and reduce the cost of integrating distributed energy resources to the existing electrical grid. The idea of establishing a federal or state tax on carbon emissions is a concept gaining a lot of attention today. While everyone understands taxes, many don’t understand exactly how a tax on carbon would work, who would be impacted, and whether it would be effective in reducing climate-changing carbon emissions. Pace Energy and Climate Center, along with Sustainable Westchester Federated Conservationists of Westchester County, Citizens’ Climate Lobby New York State, and Citizens’ Climate Lobby Westchester, are hosting a forum to discuss the idea of a tax on carbon. Pace has secured a panel of national experts to discuss, and looks forward to having questions answered and ideas about carbon taxes discussed. Location: Tudor Room, Preston Hall, Pace University Elisabeth Haub School of Law, 78 N. Broadway, White Plains, NY 10603. 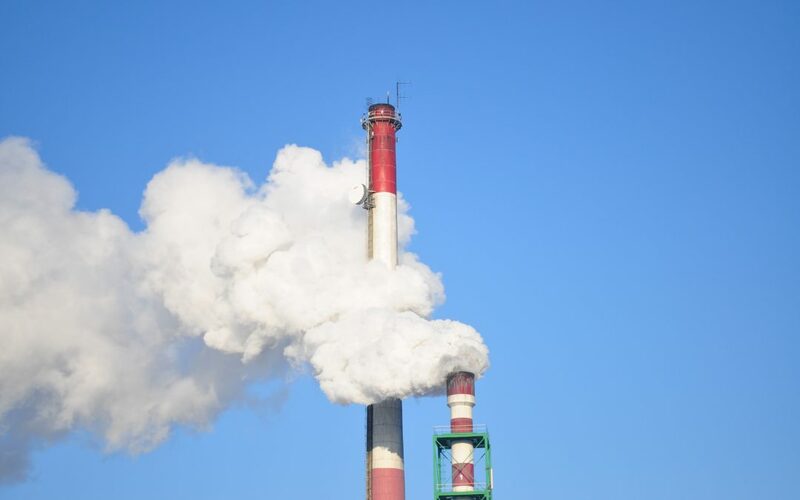 In preparation of this discussion, Pace has assembled some helpful resources for basic knowledge about the carbon tax concept. In its most simple form, a carbon tax is a fee levied by an agency of government on the production, transportation, or use of fossil fuels. Today, the price of fossil fuels and the products and services we get from fossil fuel use do not reflect the cost that carbon emissions impose on the climate and people. The idea behind a carbon tax is that if the price of things reflects the real cost, our purchase and use decisions will be more economical. Setting the right carbon tax and deciding which fuels or activities will be taxed are the first decisions that have to be made. The next big question about carbon taxes is what to do with the money raised. Should the tax revenues go toward general government budgets? To offset the burden on consumers? To fund improvements and growth in clean energy technologies? Below are listed a few resources that can serve as an introduction to the issue of carbon taxes. Some of these materials were prepared by advocates for carbon taxes. Hurricanes Harvey and Irma are fresh in our minds. We read of the homes, businesses, healthcare facilities the customers numbering in the millions who were without power. Although unpleasant for most, not having power, heating and cooling can be fatal for some. In Hollywood Hills, Florida, New York Times reported deaths of 8 residents at The Rehabilitation Center, where air conditioning systems failed due to a power outage. This stands as a stark reminder of the importance of maintaining continuous energy services for certain vulnerable populations and for high priority services. When the power is out at hospitals, nursing homes, assisted and senior living, large multifamily and public housing complexes, there are few good options. One approach that has succeeded time and again in the past is an onsite, combined heat and power (CHP) system that has been constructed to run during grid outages. Properly designed, configured, and operated combined heat and power (CHP) systems can provide power, heating and cooling to buildings during energy outages of extended duration, as was delivered during Super Storm Sandy. 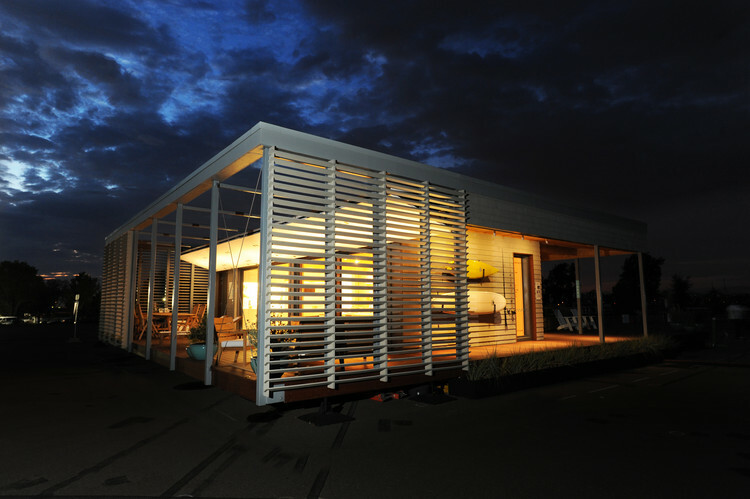 Pace Energy and Climate Center discusses in Powering Through Storms, natural gas (generally not affected by storms) powered CHP is capable of delivering energy services so that the site remains comfortable, habitable, and functional. At businesses, campuses, healthcare centers, and multifamily complexes where energy demands are suited, well-designed CHP systems can be smart, cost saving investments. They offer a suite of benefits, well beyond cost savings, that are often overlooked. An important benefit of a CHP system is the resiliency the building and its occupants can depend on. Post Katrina, Sandy, and now Post Harvey and Irma It’s time that decision makers account for the reliability that a CHP system offers them when making investments in buildings. The resiliency value of CHP has been well documented in “Combined Heat and Power: Enabling Resilient Energy Infrastructure for Critical Facilities” prepared for Oak Ridge National Labs 14 case studies from around the country describe the performance of CHP systems during emergency events. When disasters, like hurricanes Harvey and Irma, Sandy, Katrina, and others, strike we are all reminded of the enormous economic, personal, and social value of operating hardy buildings. The ability to withstand and recover from a storm is particularly important for critical infrastructure facilities, such as hospitals and wastewater treatment plants, or in residential complexes where vulnerable populations–the elderly, the infirm, and the very young—are best served by a “safe in place” strategy to the extent possible. It would behoove anyone charged with making investments to value the resiliency of buildings, especially critical infrastructure. The investment in combined heat and power generates economic returns and environmental benefits over the long run. By also valuing building resiliency, CHP becomes an ever more attractive, yet far too often overlooked investment for a broad class of buildings. 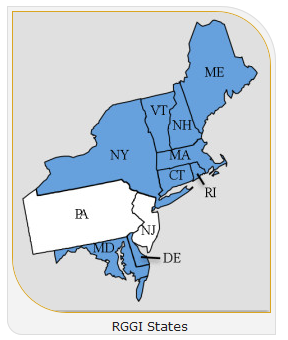 The Regional Greenhouse Gas Initiative (RGGI) is the United States’ first market-based cap and trade mechanism to reduce emissions within the nine states that participate. RGGI only applies to power generators greater than 25MW of installed capacity, and membership is optional. The nine states in the Regional Greenhouse Gas Initiative (RGGI) reaffirmed their climate leadership by agreeing to a visionary plan to reduce power plant carbon emissions by an additional 30% by 2030. The plan includes program design changes that will increase the RGGI program’s effectiveness and help keep the RGGI states on track for meeting their 30% target. These changes come at a critical moment. Many U.S. states are increasing emission reduction efforts to offset the impact of the federal government’s back peddling on climate action, and to challenge the Trump administration’s recent announcement of the intent to withdraw the U.S. from the Paris Agreement. The RGGI states agreed to a plan that includes an additional 30% reduction in the emissions cap by 2030. The plan also includes several key design changes that are expected to strengthen RGGI and make the 30% reduction attainable. The first key change is the addition of an Emissions Containment Reserve (ECR), which sets a price-floor for emission allowances, and permanently retires allowances if the price-floor is triggered. The ECR, which will be implemented in 2021, certainly is a step in the right direction for addressing an oversupplied market. However, two of the RGGI states—Maine and New Hampshire—have indicated that they do not intend to implement an ECR. The second key change is a full excess-banked-allowance adjustment. This adjustment will occur during the years 2021–2025, and will send a clear message that the RGGI states intend to prevent an oversupply of allowances from eroding the effectiveness of the RGGI program. The third key change is a set of modifications to the Cost Containment Reserve (CCR). The CCR sets a price-ceiling which, if triggered, releases additional allowances into the market. The modifications to the CCR include both an increase in the price-ceiling and a reduction in the number of allowances released if the price-ceiling is triggered. 1. The addition of an ECR, with a price-floor initially set at $6 in 2021, a price greater than the current auction clearing price, and set to be increased by 7% annually. 2. The additional cap adjustments in the period 2021–2025 to address excess banked allowances. 3. The modifications to the CCR, with a price-ceiling of $13 in 2021, which is set to be increased by 7% annually, and with a decrease in the number of allowances released upon a trigger. The proposed cap for 2021, from which annual reductions will follow, is 75.15 MTco2. During the years 2021–2030, the cap will decline annually by 2.275 MTco2 allowances, resulting in a 2030 cap of 52.39 MTco2. The RGGI states also plan to address the excess banked allowances that have accumulated in the market. The states will revise the Model Rule to establish a formula for calculating the number of banked allowances in the market. The formula will be applied in 2021, and the emissions cap will be adjusted to account for the banked allowances during the period 2021–2025. All states, except New Hampshire and Maine, plan to adopt an ECR that will permanently retire allowances from circulation if auction prices fall below the price-floor. The ECR will be implemented in 2021, and is structured to remove a quantity of allowances equivalent to 10% of that year’s base cap if it is triggered. The price floor for the ECR initially will be set at $6, and will be raised by 7% annually. For the CCR, the price-ceiling will be set at $13 starting in 2021, and will also increase by 7% annually. This is a significant increase over both the current trigger price of $10, and current 2.5% rate of increase in the trigger price. The number of allowances in the CCR also is significantly reduced under the RGGI state’s aggressive plan. Beginning in 2021, the number of allowances in the CCR will be limited to 10% of the RGGI cap for that year. Based on the anticipated cap for 2021, the CCR will contain approximately 7.515 million allowances for potential release in 2021. This is a significant reduction from the current level of 10 million allowances in the CCR for potential release annually. These program design changes are also important to protect another of RGGI’s successes—the reinvestment of proceeds generated from allowance auctions. To date, RGGI auctions have generated over $2.7B in revenue, almost half of which has been invested in energy efficiency, renewable energy development, and other beneficial programs. Allowance auction prices directly impact the amount of revenue available for these reinvestment programs (see Figure 1). The RGGI program design changes will help to prevent excessive allowances from accumulating in the market and should result in an increase in allowance prices over time, which should in turn increase the allowance proceeds available for reinvestment, even as the number of allowances available for auction decline. Figure 1: Revenues from RGGI auctions have generated upwards of $2.7B in funds for energy efficiency and renewable energy development in participating states. At its peak, RGGI generated over $152M to benefit states in a single auction. The program modifications are certainly ambitious, and are being celebrated as a win by many of the environmental advocates, including the Natural Resources Defense Council (NRDC). Since its inception, RGGI’s goal has always been to reduce power plant emissions within the region, and these proposed changes should add to the program’s ongoing success if adopted. The proposal is already being met with significant praise from the heads of state agencies such as New York’s Department of Environmental Conservation and the Massachusetts Department of Environmental Protection. Looking ahead, several challenges await the program changes, and not all of the RGGI states (Maine & New Hampshire) have tendered their full support for all of the changes. Theoretically, the changes will help market forces drive up the price of allowances, creating an environment that drives investment towards renewable energy and efficiency. The concern is what the responses will be from compliance entities regarding how they procure their electricity. One day after announcing that the Indian Point nuclear power plant will close by 2021, Governor Andrew Cuomo announced New York’s commitment to develop up to 2.4 gigawatts of offshore wind power by 2030–enough to power 1.25 million homes, which will help New York meet its Clean Energy Standard goal of obtaining 50 percent of its electricity from renewable energy sources by 2030. The commitment is also important when considering that Indian Point supplies 25 percent of New York City’s electricity load, and 10 percent of the state’s load. The state’s offshore wind development is already underway, through a proposed 90-megawatt project off the coast of Long Island developed by Deepwater Wind (“Deepwater”). Located 30 miles southeast of Montauk, this will be the nation’s largest offshore wind farm. Deepwater is responsible for the country’s first wind farm (Block Island, in Rhode Island) and already owns the lease area in New York, but the project is yet to be approved by the Long Island Power Authority (“LIPA”). 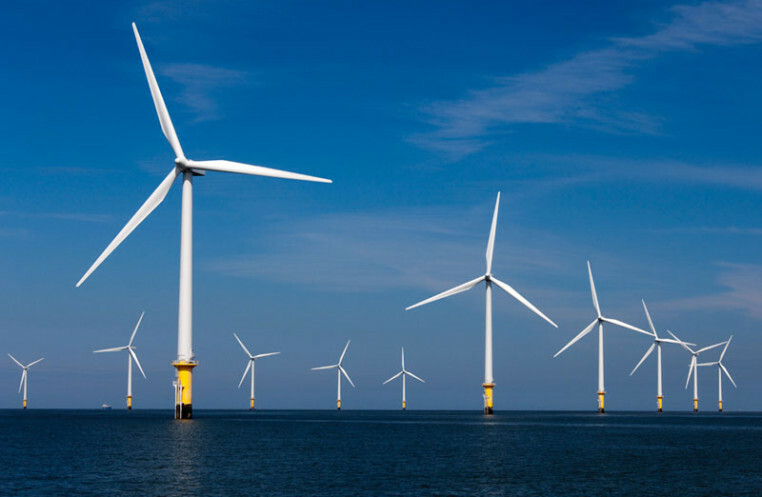 In addition, in December, Statoil Wind US LLC won a federal auction to lease an area off of the Rockaway Peninsula for a development that would accommodate 800 megawatts of offshore wind. Finally, the New York State Energy Research and Development Authority (“NYSERDA”) is preparing the Offshore Wind Master Plan (“the Plan”), a comprehensive guide for offshore wind activities in the state, expected to be completed by the end of 2017. The Plan will include: site identification, assessment, and characterization; cost–benefit analysis; grid and interconnection studies; mechanisms for the purchase and sale of the energy to be produced; stakeholders and community engagement; and mitigation efforts.